Global Mobile Wallet Market 2016 report has Forecasted Compound Annual Growth Rate (CAGR) in 36.8% value for particular period, that will help user to take decision based on futuristic chart. Report also includes key players in global Mobile Wallet market. The market report, titled Mobile Wallet Market 2016, is an analytical research done by QY Market Research study based on the Mobile Wallet market, which analyzes the competitive framework of the Mobile Wallet industry worldwide. This report “Worldwide Mobile Wallet Market 2016” build by the usage of efficient methodical tools such SWOT analysis, the Mobile Wallet industrial 2016 study offers a comprehensive evaluation worldwide Mobile Wallet market. The latest report highlights the fact that mobile wallets eliminate the need to carry physical wallets while on the go. Mobile wallets ensure more security than cards or carrying cash, especially when traveling, and also offer many other benefits like remote locking, data encryption, memory protection and password control. “With mobile wallets, the cash is stored on the mobile device, which bypasses the bank in the transaction and reduces the transaction failure rate significantly,”. The Mobile Wallet market size is estimated in terms of revenue (US$) and production volume in this report. Whereas the Mobile Wallet market key segments and the geographical distribution across the globe is also deeply analyzed. Various Mobile Wallet market dynamics such as growth drivers, restrictions, and the future prospects of each segment have been discussed in detail. 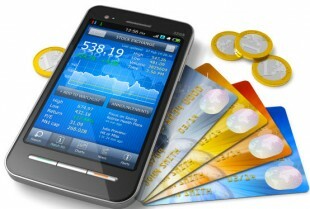 Based on that, the Mobile Wallet market report determines the future status of the market globally. Furthermore, the report emphasizes the increased awareness about mobile wallets among consumers, which is expected to help sustain market projections through the forecast period. The average consumer is becoming savvier with regards to NFC, and other technology necessary for mobile wallet-based transactions.